Do you want to find someone to kill time with or pour your heart out to? Or perhaps you are looking for a romantic partner? 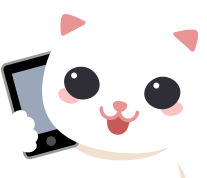 Join Goodnight and make friends through voice chats. Get closer to each other by saying Goodnight! We guarantee you 100% privacy, complete anonymity, no profile photo needed, no need to register with your facebook account. Just feel free and rest reassured to chat whenever you like. 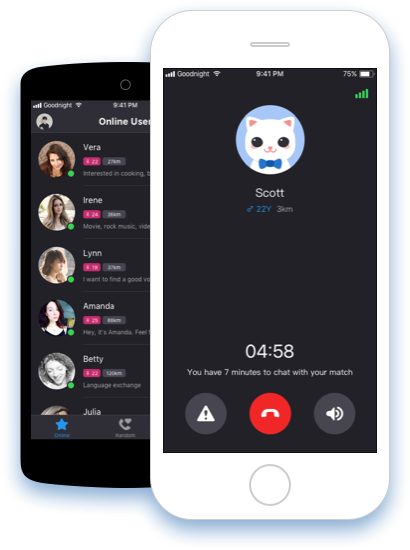 You can enjoy a 7-minute match call for free, make your profile public, receive calls from your fans, and talk with your friends all night long. Various ways of chit-chatting help you survive every lonely nights! Copyright © 2019 Goodnight All Rights Reserved.